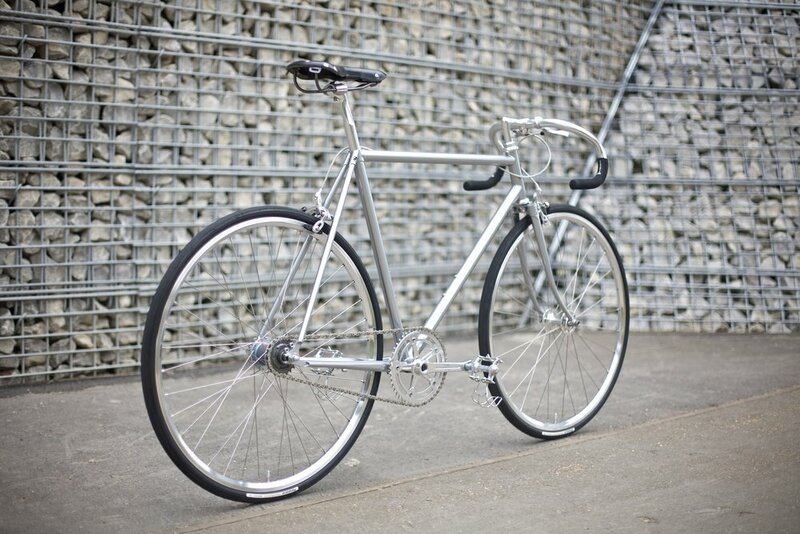 A limited edition city bike with drop handlebars and 2 speed automatic hub gears. The Fleet Silver Edition is a bespoke all-silver model produced to commemorate Frederick H. Grubb’s silver medal in the 1912 Stockholm Olympics. The Silver Edition has the Fleet model at its core but has been redesigned with drop bars, trigger brake levers and a host of upgraded components to enhance performance and create a more agile, quality ride. These were a limited edition build but if you're interested in getting something similar then get in touch. We can quote custom builds on request.